Winner of the 2015 and 2016 Academy Awards for Best Visual Effects, Double Negative (Dneg) is a gold-standard supplier of CG Visual FX, and one of the industry’s success stories. Founded in London in 1998, it is Europe’s largest player with over 2,500 staff in state-of-the-art facilities in London, Mumbai and Vancouver. Dneg is currently working on a range of films including The Mummy, Justice League, Blade Runner 2049, Pacific Rim: Uprising, Avengers: Infinity War, and Annihilation. Double Negative is one of the world’s leading Visual FX houses. The company has an outstanding reputation with artists, making it an excellent place to attract animation talent. 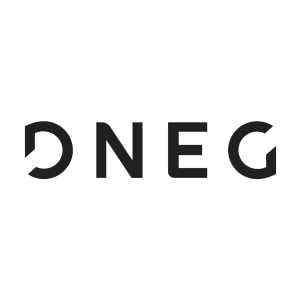 Locksmith and Dneg’s strongly aligned objectives in the area of feature animation led to the forging of a unique partnership. Dneg are a shareholder in Locksmith, ensuring their interests are aligned. In 2014 Dneg launched a brand new Feature Animation division to go with its investment in Locksmith. The new division is led by ex-Dreamworks Associate Producer Tom Jacomb.